The bed in this guest bedroom came out of Michael Bertolini’s townhouse on 64th Street, New York City, and so, it was always called, “Michael’s Room”. The footstool was custom made for a piece of antique flame stich purchased from Michael. There were no closets in the room. Michael bought Armoire doors and custom built a closet to fit the doors. The portrait, one of eighteen, came from and old Swiss-German family residing in Chester, New York. 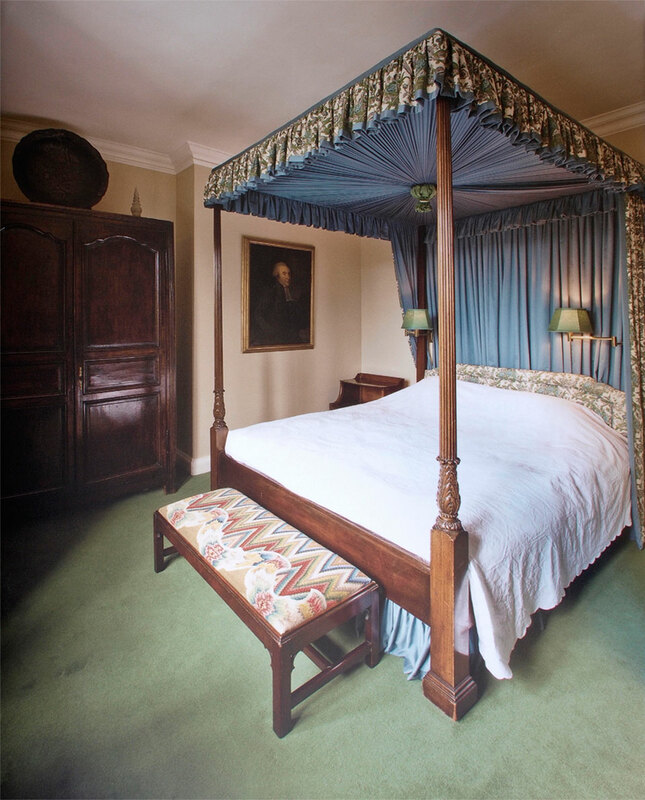 The collection was spread throughout the house to give it the character of the 18th Century…”instant ancestry”. The bed hangings and windows are dressed in Lee Jofa toile.